Accept the Challenge of Starship Command! Out-think, out-shoot and out-maneuver your opponent in a warp-speed dogfight. Your crew's lives depend on your skill and cunning as you bring your strongest shield and most powerful weapons towards your enemy.....an enemy that might be another starship, a massive robot berserker or an alien being so huge it dwarfs your mighty ship. Captain's Edition Basic Set (4th ed) is the foundation of the exciting and detailed Star Fleet Battles game system. It is also a complete starship combat system that stands alone. 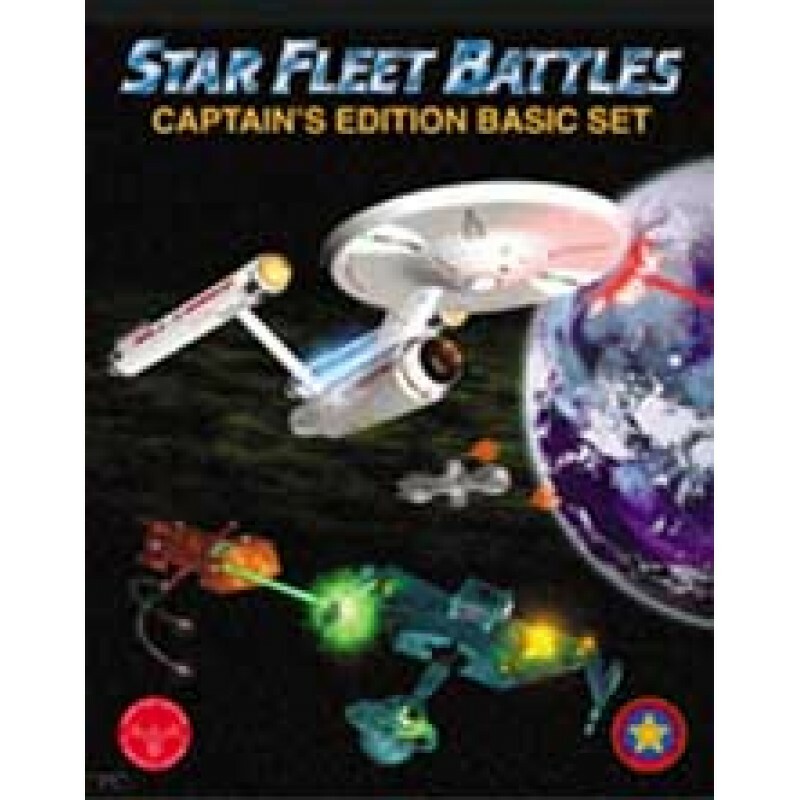 Seven Galactic Empires, the Federation, Klingons, Romulans, Kzintis, Gorns, Tholians and Orions send their best ships and crews on missions of exploration and conquest. More than 50 classes of starship are represented.